Comedy is the best and bankable option for low-budget films. Some escapist fun 'bedrocked' on a family theme has many times worked. Debutant director Parthasarathy tries the same formula in Kanchanamala Cable TV. And after sitting through the whole drama, you realize when comedy works and when it doesn't --- there is proof for both in this film itself. The first half here is a romp while the second is a bit of laggard. In the event, you are not sure what to make of the whole thing. The story is pretty much on expected lines. The hero, Sudarshanam (Srikanth) has a cable TV network in the Juvvulapalem and life is happy with his acolytes. The only hitch is that his aunt and uncle (Annapoorna and Satyanarayana) are waiting with hope that their long-lost daughter Kanchanamala will one day return. In the meanwhile, Annapoorna's brother (Tanikella), in a bid to lessen the grief of his sister, brings in Sirisha (Laxmi Rai), a client of his, to Juvvullapalem as Kanchanamala. 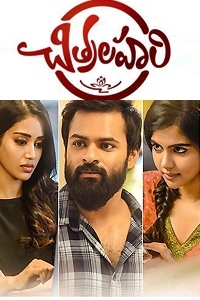 Sirisha, on the run from a baddie, is desperate to go to US and agrees to the lawyer's plan with the hope that he would help her go abroad. She lands in Juvvulapalem, and the confusing capers start. Then finally, as is usually the case in such movies, all is well that ends well. 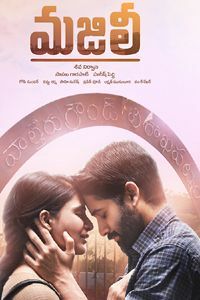 Srikanth as the Cable TV guy and the suitor of Sirisha is believable. He has a good flair for comedy and he uses that to good effect. The comedy team (of MS Narayana, Venu Madhav, Krishna Bhagavan, Sunil) also comes up with the desired effect. But the heroine Laxmi Rai, though looking good and ready for glamour, lacks the finesse and polish. Her acting has still a long way to go. The music of Radhakrishnan is good and a couple of melodies are ear-pleasing.The other technical crew have done their job adequately. But the films does not have high production values. For Parthasarathy, it should be a good learning curve. He has shown promise in the first half. But he loses his grip in the second. On the whole, this Cable TV has some distorted picture quality.